Garmin has now phased out most of the old Nexus product line to make way for the all new GNX line of NMEA 2000 instruments. If you have a Nexus instrument system, please call us to discuss how you can incorporate your existing Nexus system into a new GNX NMEA 2000 system. 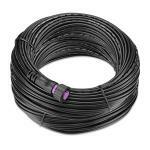 DOES NOT CONNECT WITH OLD NEXUS WSI BOX!Eliminate Wires Through Your Mast An easy-to-install solu.. 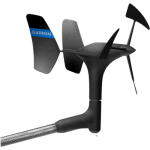 The gWind transducer features twin-fin technology with 3-bladed propeller for more a.. Designed for racing sailboats, the gWind Race features a 3.3 feet (1 meter) straight.. 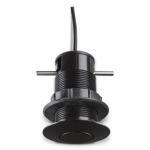 This thru-hull transducer can read water depth and water temperature. It can retrofit an existing .. 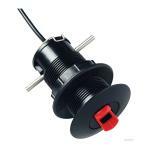 Replacement transducer only. Does not include cable or mounting bracket. Use 010-12117-02 adapter to..
gWind, transducer only, MFG# 010-12117-20, replacement masthead wind sensor. Does not include mounti..
Run these 25 m (82 ft) or 40 m (131 ft) cables up the mast to connect your gWind™ and gWind Race tra..